Has My Lead System Pro crossed your path and got you wondering if this program is legit or another scam you need to be leery of? In this MLSP Review, I’ll be giving you guys an inside look at everything you’ll gain access to if you were to become a member. MLSP has come up on my radar a number of times over the past 6 months and I have gotten a number of requests from my loyal visitors to do an in-depth and thorough review of this company. I have heard nothing but great things about this company from many of my online marketing buddies and this is what intrigued me to do some digging to see what this was all about. Before we get started tho, can you guys do me a favor? Forget about every other MLSP review that you’ve read online from people who clearly were NEVER a member and their sole purpose was to sell you on their product. There are plenty of mixed reviews out there that you may have encountered before you found your way here and I’m glad you made it here. I’ll be writing all of this based on my own personal experience and giving you my own personal opinion as too whether this system would be a good fit for you and your business or not. Within the following review, I’ll be giving you a detailed walkthrough of this entire system and showing you how it can help you get more leads and sales by following their training and taking action on what you learn. I want to be completely transparent and honest with you guys when writing this and I’ll have you know that I have, joined as a paying member so you can expect nothing but the 100% truth from me. I’ll be documenting my progress within this review and I encourage you to follow along and ask me any questions you may have at the end in the comments below. You can expect nothing short of an honest, truthful, and unbias review from me. After careful review, I think I may have found something that you guys could benefit from as much as I have and that’s what I’ll be sharing with you guys today. Brian Finale and his crew created MLSP back in 2008 as a way for current online business owners to get more leads and revenue coming into their business using attraction marketing and other more advanced marketing techniques. Based out of Austin Texas MLSP has withstood the test of time and has been in the online space for 10 years now. There aren’t many companies out there especially in the make money online industry that can honestly say they have been in business for 10 solid years. Most online businesses that start out usually don’t make it past the first year or 2, let alone 10 years. This alone should give you an indication as too the quality of the training and tools you’ll find within the member’s area of the MLSP platform. This company has evolved quite a bit since I wrote this original review just a little over a year ago and this called for a huge update. What all has changed since I wrote this review? Well to be quite honest with you guys, not much!! However, if you happen to be an affiliate of MLSP then you’ll definitely want to listen up and pay close attention to what I’m about to share with you guys today. I’ll be going over their compensation plan in full detail and showing you what has changed with this new update that took place close to the end of 2017 and early 2018. This is ideal for network marketers, MLMers, online business owners, or any business that is in dire need of more leads and sales. If you have struggled to get leads in the past and you found it nearly impossible to grow your overall revenue and grow your business, then you seriously should consider checking this system out for yourself. However, If you’re a newbie who’s just getting started online, then you may find the strategies and marketing techniques covered here to be a little over your head, so to speak. I would suggest that you learn the basics first using this program, and come back to this review once you’re ready to move on and learn the more advanced stuff. Also, if you aren’t serious about growing your business and investing money into it to get the results you’re looking to achieve, then I’m afraid this program isn’t for you. Live Weekly Webinars- Every Wed at 9 PM they have live over the shoulder training that is usually at least 2 hours long or longer. There is a different topic each week and these are hosted by members of the community as well as Brian himself. When is the best time to go live? How to build your audience and learn how to engage with them. This training absolutely blew my mind and I learned quite a few valuable tips and tricks from this presentation that I didn’t before. If you have ever wanted to learn about FB live or have shown any interest in video marketing then you should definitely check this out. To be honest with you guys today, I feel like this training alone is worth the membership fee. The training courses offered at MLSP are some of the best training I have ever gone through in my entire online career. Even though I wouldn’t say it lives up to my #1 recommendation, it still ranks pretty high in my book. Here are just a few of the many topics you’ll find in the training section below!! There are nearly 50 training courses offered in this section with additional courses being added all the time. This covers nearly every aspect of marketing your business online and once you master these skills and take action on them, you can take your business to the next level and beyond. High-Quality Tools & Software- The tools and software you’ll find in the back office of MLSP are exclusive and you won’t find these anywhere else online. Community Help & Support- Get hands-on awesome help and support from a community of like-minded people who actually go out of their way to help you out and head you in the right direction. They also have 24/7 help and technical support for those pesky technical problems that are above your pay grade and your level of knowledge. All new members also gain access to a free coaching session to get them started out the right way and headed in the right direction. Build Your Business The Smart Way, Not The Hard Way- For years, I struggled building my business and I have messed up and made more mistakes then I would like to admit. This is simply because I didn’t know any better and I didn’t have access to such a high-quality toolset as the ones that are offered within the member’s area. 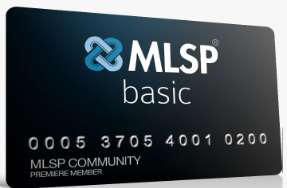 In the first couple of days as a mlsp member, I have already increased my leads and even made a sale thanks to the tools and software included in my membership. Why struggle to learn all of this on your own and possibly get started in the wrong direction, when all the tools, training, and help and support are right at your fingertips? Wouldn’t you rather work smarter than harder? Earn $100 & Up Per Sale- MLSP has one of the most lucrative affiliate programs that I have ever joined in my entire career as an online marketer. All you would need to do is make 10 sales a day to earn $1k a day!! Sounds pretty easy to do if you ask me, wouldn’t you guys agree? There are so many ways for you to create multiple income streams with this company and this is only 1 of them. I’ll be going over their amazing compensation plan here in a few minutes, so bear with me, OK? If you currently know anyone who would benefit from the products and services offered here, then why not share the love, and get paid nicely for it? More on this here in a few minutes! Drive Leads To Any Business- One of the many things that really stood out to me about this system was the fact that they can help you no matter if you’re looking to make some extra money, or you’re a current business owner looking to expand your reach and target more specified markets. Need to bring more targeted leads and increase your overall revenue in your business? MLSP has the tools for you to do this in their back office waiting for you!! Everything You Need In One Place- Due to their massive and diverse training courses you could learn just about anything your heart desires about marketing your business online. Instead of going out there and purchasing several separate courses on the topics I’ve listed for you guys above, which might I add could cost you several thousands of dollars and not something I would recommend you do. Wouldn’t it make better sense to pay 1 membership fee a month to access everything? This would also be much more cost effective for you as well!! I know this from experience as I just bought a pretty pricey FB ads course a couple of weeks back and paid close to $500 for it. Training Events & Workshops– Learn from 6,7, and even 8 figure earners in the industry and bump heads with other highly successful entrepreneurs. Get hands-on training from the owners themselves and learn insider secrets that you won’t find anywhere else. I’ve never been to any of their training events just yet, but I do plan to go next year. Live the dream VIIII is scheduled to take place around the middle of August 2018 in Austin Texas. I’ll be posting more info on this as it becomes available so, be on the lookout for this in the coming months. They base this on a point system and as you start generating mlsp leads and making sales you’ll start racking up points. Depending on the membership level they join at, will determine the number of points you earn for each referral that joins through your link. Here’s the point breakdown below!! Their incentive program is 7 levels deep and I’ll uncover the details on how it works below!! Level 1 Partner Leader- Once you’ve earned 10 points with a minimum of 5 points from active members you’ll receive recognition on the MLSP FB fan page. Level 2 Pro Leader- Earn 25 points with 13 from peeps who still have active accounts and you’ll unlock level 2. At this level, you’ll have everything from lv 1 along with the opportunity to submit your personal testimony on their sales pages. Level 3 Industry Leader- When you have reached 50 referral points with at least 25 points from active referrals you’ll be acknowledged as an industry leader. You’ll now have the ability to earn 35% commission on product sales as a university member instead of 30%. Mastery members earn 75% on product sales instead of the usual 70%. This also unlocks the opportunity for you to be invited to the master marketers team. Level 4 Master Leader- Earn 100 referral points with half of them from active members and you’ll unlock level 4 which comes with the following added benefits. Uni members earn 40% commission on product sales while mastery members earn double. This also qualifies you to be selected to join their exclusive mastermind group. Level 5 Global Leader (Honeybadger) – Once you have earned 200 points with 100 from active referrals you’ll level up and be officially known as a honey badger. What the heck is a honey badger, Scott? This just means that you’ll be recognized as an industry leader and you’ll join the ranks of some of the most successful people in the online industry today. All the benefits from your previous level will carry over automatically when you level up. Level 6 Galaxy Leader- If you have 500 points with at least 250 from members who are still active then you’ll receive special recognition on their sales page, FB fan page, and on their official website. You’ll now earn 45% commission on product sales and 85% as a mastery member. Also, you’ll receive an exclusive invitation to join their Executive Mastermind Team along with a cash bonus of $1,000. Level 7 Universal Leader- Once you have accrued 1,000 referral points with a minimum of 500 from active referrals then you have a lot waiting for you in this final level. 50% product sales for uni members and 90% for mastery. You’ll also qualify for a $5,000 cash bonus as well when you reach this level. As you can see above, these are some pretty spectacular incentives for you to start working towards. I have already set some goals that I would like to achieve with this program and I’ve already started working on them. Getting started with MLSP is a breeze. Once you have decided whether you want to join at the university level, or the mastery level then you’ll gain access to the member’s area. It doesn’t matter if you’re a network marketer, affiliate marketer, CPA marketer, or just looking to build your email list and start establishing your own brand, you can do all of this and so much more with MLSP. As you see in the screenshot above, I’m a university member for now, but I plan on upgrading to Mastery next month. After you watch the welcome video from Brian and get familiar with the interface of their site you should make your way over to the training tab at the top of your screen and navigate your mouse to marketing strategies. This is where you’ll access all your training lessons and gain access to your bonuses as well. Here’s a sneak peek at just a few of the training modules you’ll gain access to when you join either university or mastery level below!! These training modules are short and sweet and directly to the point. Brian walks you through everything step by step and if you don’t understand something you can ask a question below the training. Like I said earlier, there are nearly 50 training modules that cover just about any aspect of marketing that you could possibly want. If you’ve been involved in the online marketing industry then you probably have at least heard of online gurus like David Wood, Matt Lloyd, & Mark Ling. Do any of these names ring a bell for you? They all came from MLSP!! Since that time, these people have gone on to create their own product or membership site of some kind from taking action on everything they learned here. How Much Is This Going To Cost You To Get Started? Both memberships come with a 30-day money back guarantee so rest assured that you can get your money back if this isn’t something you could see yourself doing. Also If you’re like me, and you hate monthly payments then they also have a yearly payment option as well that will save you over $300 on your membership over the course of a year. This comes out to only $1,497 for the entire year and this is definitely that way to go if you’re looking to get the most bang for your buck and save money on your membership. The yearly option is only available for the mastery membership at this point in time. Broken down this comes out to $4.10 a day or $123/month compared to paying $149/month with their monthly plan. For some of you, this may seem like a high price to pay, but if you take the time to do the math it really isn’t that much at all. I decided to take my research one step further to see how much you would end up paying if you were to enroll in a traditional business marketing college class that teaches the same skills as mlsp. I think Brian Finale ( Co-founder of MLSP) said it best when he said the skill sets and knowledge you’ll acquire here is comparable to a traditional business marketing class at Harvard University which costs around 80 thousand dollars a year. What sounds better to you, $1,500 a year, or $80 grand a year in college debt? Would MLSP Be A Good Fit For You & Your Business? This is a question that only YOU can answer!! After reading my comprehensive and thorough review tho, I hope you’re able to form your own opinions about whether your business could benefit from everything you’ll gain access to as a member. The training at MLSP is broken down into 3 key components to generating more leads, sign-ups, and ultimately more revenue and I’ll list these for you guys below. This is really all there is to it and this is what you’ll be learning as you go through the training and start utilizing everything this system has to offer you. To make it easier for you guys to decide whether this opportunity is right for you, I have come up with a few questions for you to answer below. Are you currently struggling to generate enough leads and sales to keep your business in profit and avoid going into debt? If you answered yes, then I really think this system could help you turn things around and provide you with in-depth strategies that you can utilize to take things to the next level. Are you in an MLM opportunity that requires you to generate leads on a daily basis? If so, then this system could definitely help you generate more leads and sign-ups. Let’s face it, every business no matter what niche you’re in requires a steady stream of prospects who are interested in what you have to offer in order for it to survive. I really hope this review has given you guys an inside look at this amazing system and a sneak peek at what you’ll be doing once you join. Are you currently a member of MLSP with a story that you would like to share with everyone else here today? Great review Scott, I’ve heard on MLSP for a while now and I was under the impression it’s focused primarily for people involved in MLM/Network Marketing. I’m an affiliate marketer and like all marketers I’m always looking for ways to generate more interest in my primary affiliate program (wealthy affiliate). From your experience with MLSP can MLSP help do that? I’m glad this review has helped you out and has given you some insight into what MLSP is all about. Up until a few years ago, this was primarily targeted towards people in network marketing/ MLM Industry. However, over the past few years, they changed things up and did away with the MLM structure of their site. They switched things up and instead of being a business opportunity, they now focus on helping affiliate marketers like you and me, generate more leads, sign-ups, and conversions to our business. They also don’t discriminate against other business models as the tools and training inside MLSP will benefit anyone who has any kind of business online that requires targeted leads. Yes this would work for Wealthy Affiliate and as a matter of fact, I’m going to create some WA funnels myself over the next couple of days so this is definitely possible. I’ll send you some more info to your email explaining how this works and answer any additional questions you may have. You can activate your $10 trial and take this system for a test drive for a full 10 days to see everything they have to offer by clicking the appropriate links above. I really hope this has helped answer your questions Leo and please let me know if you have any other questions. Hey Scott thanks for getting back to me. Sounds like something that can be a big benifit to getting more leads. So there is a funnel system you can create using their stuff. You also got my attention regarding FB ad training – I’m doing Bing right now. Honestly I got frustrated with FB, but I do see the potential – any idea how up to date the service/training is? Also are the live webinars recorded like in the WA if you can’t attend? Please PM me more info, and if you can share what you have done so far, that would be great too. You are very welcome Leo!! Yea MLSP is pretty awesome!! I think this is a tool that every marketer no matter what type of business they’re in needs to have in their toolbox if they want to have any kind of success online using more advanced marketing strategies. Once you join as an MLSP member you’ll gain access to their proprietary software called Funnelizer. You can use these funnels to promote your business opportunity or use their already done for you system campaigns to introduce MLSP to your audience and earn affiliate commissions. There is also detailed FB ads training that walks you through how to create killer ad campaigns using laser targeted marketing techniques. I’ve used Bing ads in the past and had a pretty good conversion rate with them. Are you having any success with them? I haven’t had the chance to go through all of their training just yet (There are over 50 training modules) I did have a chance to go through their FB Ads training and it’s up to date. Their live webinars are recorded just like WA and these are usually available for replay on the following day. They hold these live every Wednesday at 9 PM EST and there is a new topic each week. Also, they usually last around 2 hours and the one last week went over by like 10 minutes. I’ll send you more info on this here in a bit and share my personal experience that I’ve had with them so far. I’m interested in learning more – I’ll take a look at things this weekend using your $10 trial link this way I can focus on checking things out with no distractions. As for Bing – I’m still testing ads, so I’m only spending $10 per day until I get things dialed in, not enough conversions to test anything else at this point. Nice that the webinars are recorded. The Funnelizer and the FB training is what has my interest at this point. I assume I’m correct in thinking the two can work in conjuction with each other. Look forward to getting your PM regarding your experience. Thanks for everything so far. Definitely, take a look at everything that’s available to you in my $10 trial link above and get back with me with any additional questions that you may have. I’ll be more than happy to answer them for you to the best of my ability and lead you in the right direction. Yea, that’s how I started out with Bing Ads as well. The only difference is the fact that I had a weekly adspend budget of $30 a week to run some ads and do some split testing. I was able to get a few conversions but not enough to make it profitable at that time so I turned them off. I just purchased an in-depth FB ads course a few weeks ago so I’m gonna try and master FB ads and do some testing with this platform and see where things go. Yes, the webinars are recorded and they use the same software that WA used to use back in the day(Go To Webinar) I have found these live trainings to be highly informative and I’ve learned quite a few things from the 3 that I’ve attended so far. Yes, the funnelizer and the FB training would work in conjunction with each other. The funnelizer is pretty easy to setup and they have step by step over the shoulder videos that walk you through how to set these up in under 1 min. I had mine setup and fully functioning in about 5 minutes tops. If you have any other questions for me please let me know Leo.